Dell’s new Inspiron Duo convertible netbook/tablet with its innovative flip-hinge design that allows you to seamlessly switch from touch to type, will be arriving on Three in the UK during February. Three is expected to launched a 3G enabled version of the Dell Inspiron Duo for its UK customers and even though February has been mentioned as the released date no specific day has been mentioned as yet. 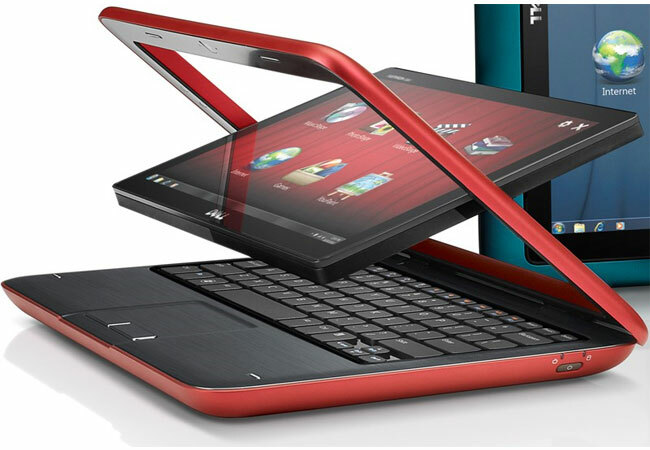 Watch the video after the break to see a quick promo video of the Inspiron Duo flip-hinge in action. The Dells Inspiron Duo has a 10.1 inch swivelling LCD display, powered by an Intel Atom N550 processor and fitted with 2GB of RAM and a 320GB hard-drive, with Microsoft Windows 7 Home Premium, pre-installed. Unfortunately Three has also kept the price under wraps as well for the time being.